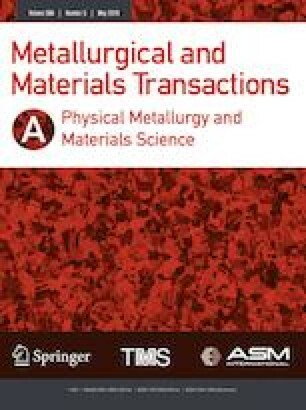 This investigation aims at understanding the underlying fundamentals of the isothermal solidification phenomenon during the transient liquid phase (TLP) bonding process. The isothermal solidification is governed by solid-state diffusion of the melting point depressant (MPD) into the base material, which, in turn, is controlled by both kinetic and thermodynamic parameters; however, the latter factor is generally ignored. In this work, the competition between kinetics and thermodynamics of diffusion were considered in TLP bonding of a nickel alloy, Monel 400, using two distinct filler metals including pure copper (Cu) and Ni-Si-B filler metal. The joint generated by Ni-Si-B filler metal exhibited two key features including the presence of eutectic-type solidification products, an indication of incomplete isothermal solidification, and the presence of liquated grain boundaries in the substrate. However, the joint generated using pure Cu filler metal exhibited neither liquated grain boundaries nor precipitates in the diffusion-affected zone (DAZ). Interestingly, a fast isothermal solidification was observed when bonding using Cu filler metal. Despite the lower diffusivity of Cu, as a substitutional MPD in Ni-base substrate, compared to that of B, as an interstitial MPD, its higher solid solubility in the substrate provides a larger thermodynamic driving force for diffusion-induced isothermal solidification. Moreover, due to the high partitioning ratio of Cu in the Ni-base substrate and, hence, the lower difference between MPD solubility in liquid and solid phases, the required number of MPD atoms that should diffuse from the liquid phase into the base metal (BM) to complete isothermal solidification is much lower than that of B-containing filler metals. Therefore, both diffusivity and solubility of the MPD element should be considered in filler metal selection for achieving a fast isothermal solidification during TLP bonding. Manuscript submitted October 11, 2018.